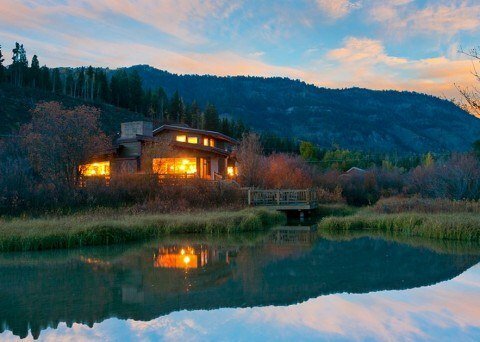 Abode at Sweetwater is a stunning property in a spectacular location. 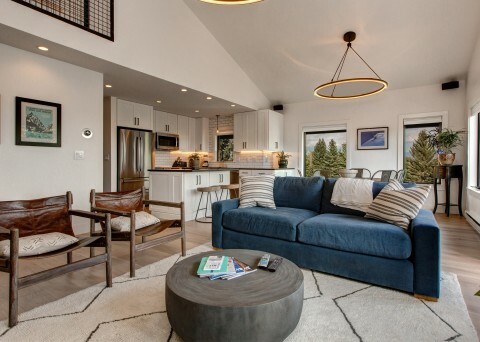 This custom home was built with incredible attention to detail and features three bedroom suites with three full baths, on half bath, an office with custom cabinetry and an open living, dining and kitchen area perfect for entertaining guests or spending quality time with friends and family. After a long day on the slopes, unwind in the large private outdoor hot tub (with a waterfall, light show and speakers) and watch the last skiers walking by wishing they were home. You know the billboard, 'If You (Stayed) Here, You Would Be Home'. This 4,121 square foot 3 bedroom, 3 bath home is nestled in a private setting just west of the Town of Wilson on 1.52 forested acres. Featuring a delightful interior with pleasing colors and reclaimed oak floors, the house offers an open living plan. Newly remodeled with a 3rd bedroom added, as of July 2018! - 3 bed, 2 bath plus Loft, top floor condo.. 2 TV's, Sonos stereo, Firewood included. Please note before booking that the loft space require using a ladder to access the sleeping in that section. Sundance club membership can be used by renters and is step away offering a heated pool, hot tub, and tennis courts. Moose Creek Lift is less than a five minute walk and shuttle runs near the property during the day. 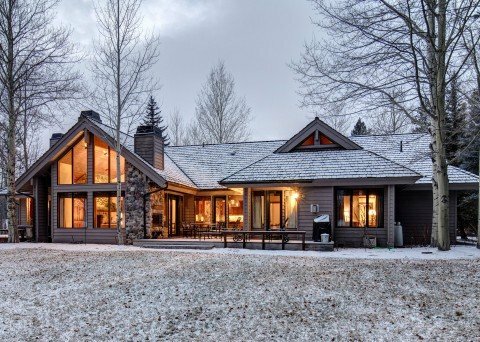 Gorgeous 3 bedroom, 3.5 bathroom home sits on the 15th hole of the Teton Pines Country Club in Jackson Hole. A luxury experience with all the amenities! 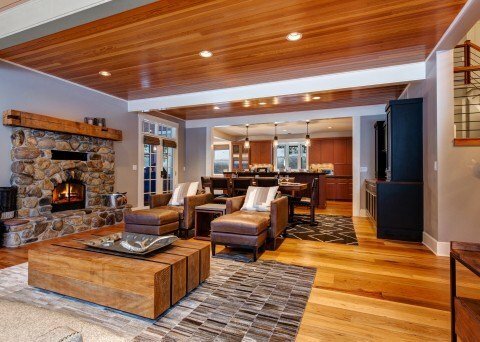 Expansive great room with vaulted ceilings, exposed trusses, hardwood floors, grand wood-burning fireplace, large kitchen, and a spacious yet cozy den. All three bedrooms include en-suite baths. Outside space is great for entertaining with a private hot tub and fairway views! Just steps to the new Moose Creek Lift, Abode at Teewinot is perfect for the whole family! This unit offers 3 bedrooms, 3 bathrooms, full size kitchen and a spacious living area with a wet bar and a large river rock fireplace. The master bedroom has a king bed with en-suite bath, one guest bedroom with a king bed and a second guest bedroom with two twin/twin bunks (4 twins). Extras include heated underground parking, private deck, in-unit washer and dryer and mountain views!! Take advantage of the Sundance Club hot tub, pool and tennis court! Abode at Gray Wolf is nestled right at the base of the Teton's at Jackson Hole Mountain Resort. 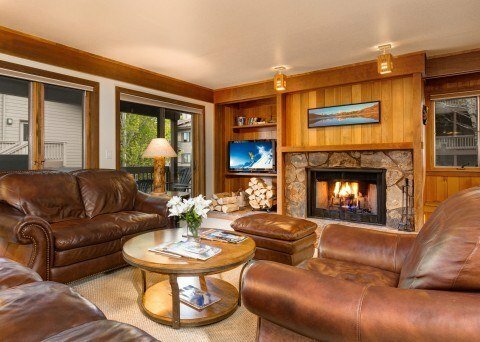 Boasting awesome mountain views and over 3000 square feet, you will have plenty of room for the family to gather and enjoy getting together at the end of the day to trade stories. This unique property provides a secluded feel while being located within walking distance to the shops and cafes in the town of Wilson. The wooded location is home to lots of amazing wildlife. The expansive outdoor seating areas allow visitors to commune with nature and soak in the views. 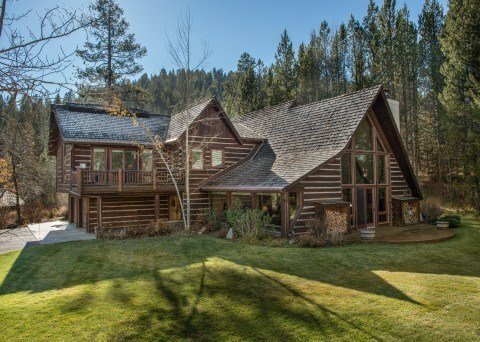 Abode on the Range is a 3 bedroom log home is on a beautifully landscaped and forested 6.51 acres located just south of Wilson in the Jackson Hole area. 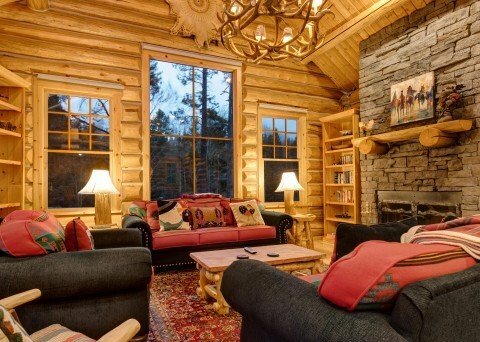 Abode is a truly unique vacation rental company. 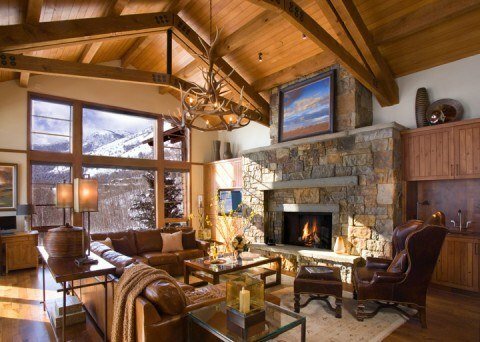 Our carefully selected portfolio includes spectacular rental properties in Jackson Hole. 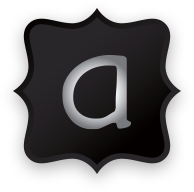 The Abode team selects its homes and condos so you can rest easy, knowing that you are experiencing the best of the best. From the world-class skiing at Jackson Hole Mountain Resort in the winter, to horseback riding through the Wild West country in the summer, there are plenty of activities that everyone will love. 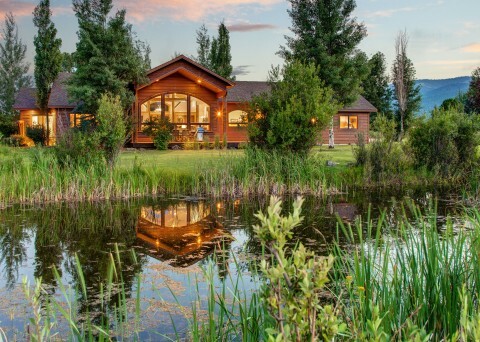 Abode Jackson Hole, a licensed Wyoming Real Estate Brokerage.